You’ve had your mammogram and the results are in. Along with the report, there’s a notice alerting you that you have dense breast tissue and suggesting you talk with your doctor about future screenings. Should you be worried? What exactly does “dense breast tissue” mean and why are you hearing about it? A growing number of patients are coming to their physicians with questions about breast density and it’s no accident, said Nicole Abinanti, MD, radiologist with Mecklenburg Radiology Associates and director of women’s imaging at Novant Health Breast Center. States that include North Carolina and Virginia have passed laws requiring women to be notified if their mammograms show they have dense breasts. The reason is simple: If you have dense tissue, you may be more likely to develop cancer than if you don’t. “It’s extremely common to have dense breast tissue,” Abinanti said. “As many as half of women ages 40 to 74 have dense breasts. That means the breast has more connective and glandular tissue and less fatty tissue.” According to studies published in the New England Journal of Medicine and elsewhere, dense breast tissue is associated with a higher risk of cancer, but the density also makes it harder to spot cancer. That’s because dense tissue and tumors both show up as white on a mammogram. 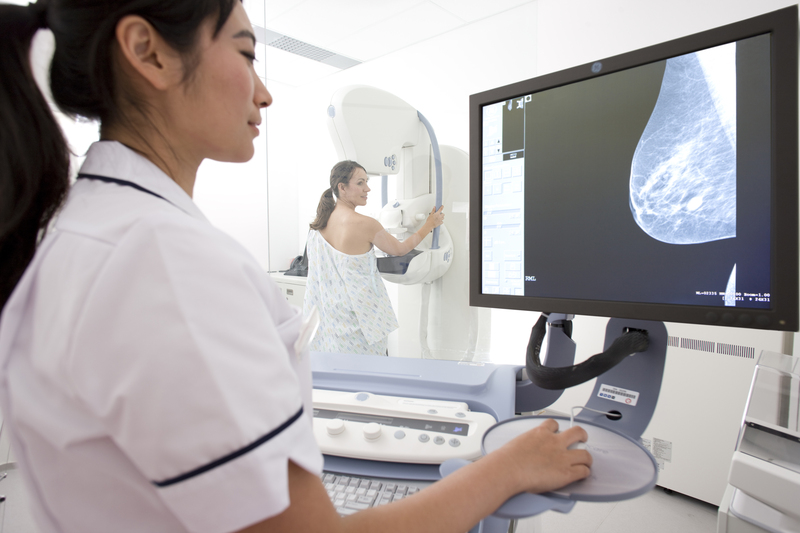 To better examine dense breasts, providers may suggest using a 3-D mammogram, which takes about the same time as a regular mammogram but which provides multiple images that are put together to show a three-dimensional picture of the breast. The technology, also known as tomosynthesis, can pick up tumors that otherwise might be obscured by dense tissue. “Women with additional risk factors may use the information about their breast density to talk to their doctors about self-exam, close clinical surveillance or additional screening tests such as 3-D mammograms or breast MRIs,” Abinanti said. Time for your mammogram? Novant Health breast centers offer online appointment requests, as well as same-day and walk-in appointments. Several locations also offer 3-D mammography. Learn more at NovantHealth.org/pink.